At this point we’ve cut out all of the pattern pieces we need to start sewing together the Johnny Bond. Refer to the chart above to make sure you have all of the pieces. *For the steps taken directly from the original patterns I will just make a note to refer to those patterns individually. 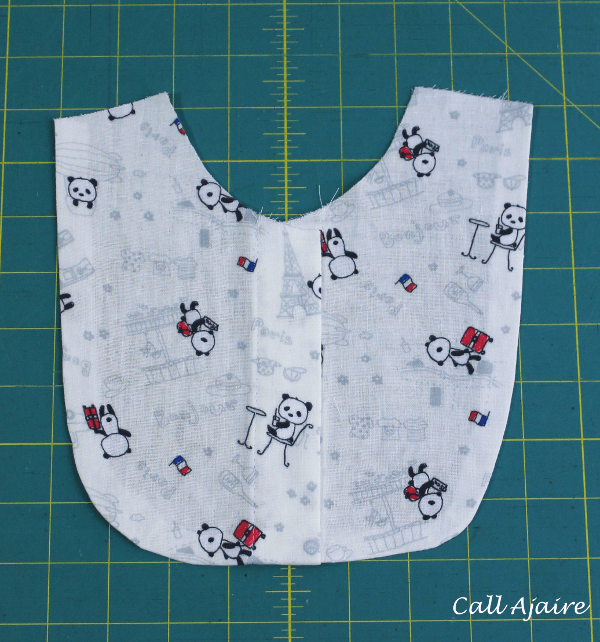 Beginning with the bib placket, fold and press 3/8″ to the back the along the fold line closest to the center front of each bib piece. 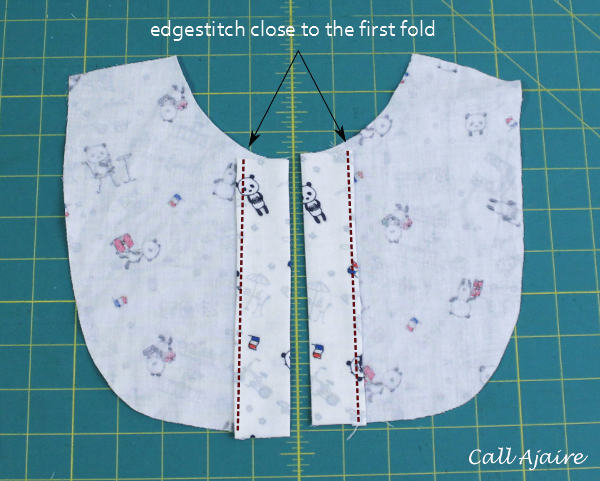 Fold again along the next fold line, and sew close to the first fold to encase the raw edge and create the placket. Repeat with the other side. 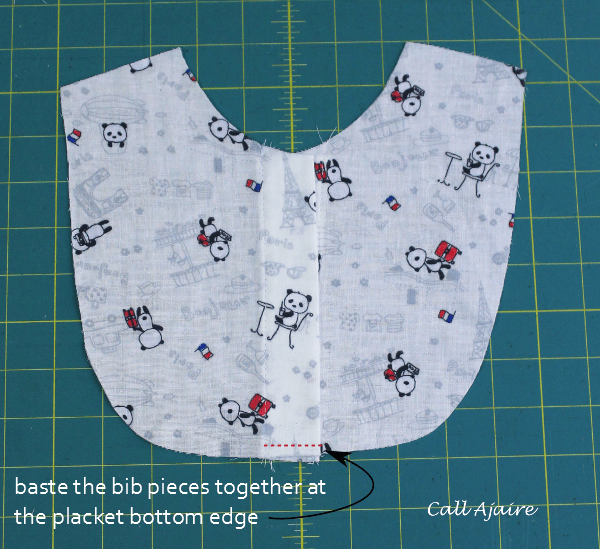 Place the two bib pieces together with their plackets overlapping and baste along the bottom edge within the 1/2″ seam allowance. 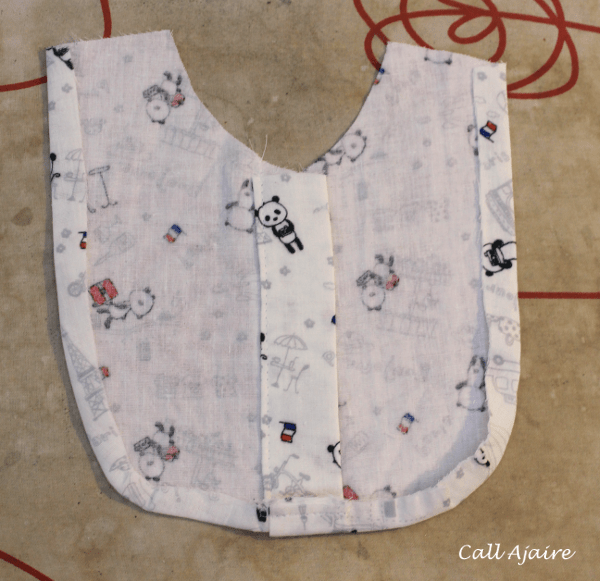 Fold up 1/2″ along the sides and bottom of the bib, including the basted together placket. Trying to make the round edges as smooth as possible, press well. 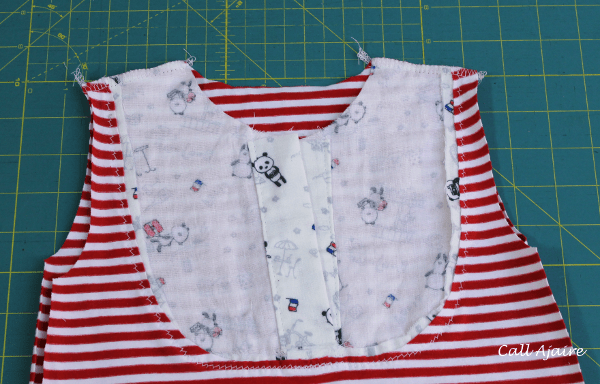 Pin the bib to the Bond Top front piece overlapping the edge. Topstitch close to the bib edge. Refer to the Bond Top instructions for more information about attaching the bib. 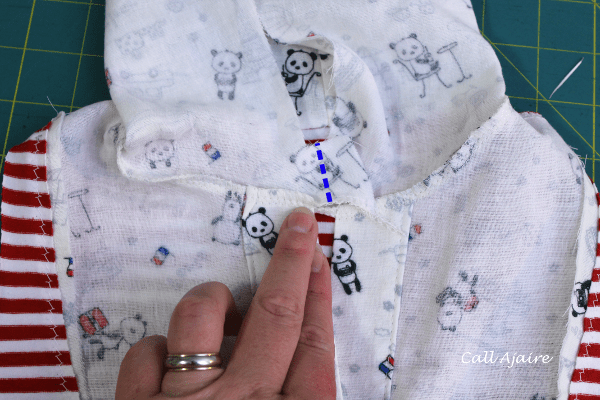 This is a good time to create the button holes if you’re using real buttons for the placket. I used snaps so i waited until the end to attach them. Refer to the Johnny B Good instructions for more about creating the button holes for the placket. 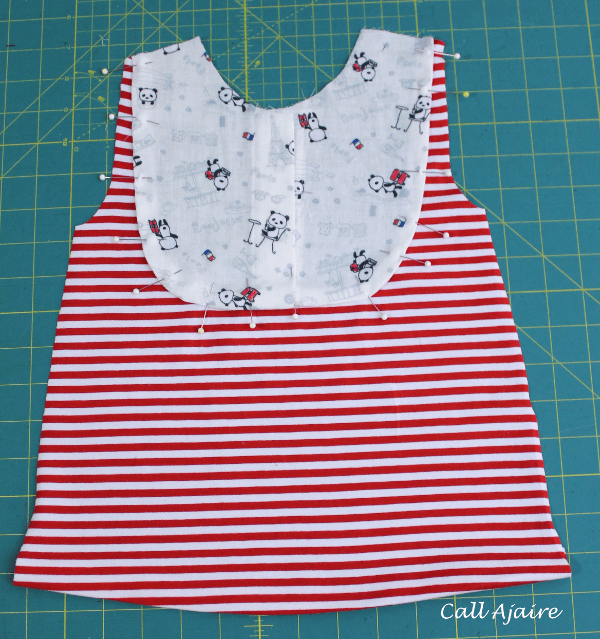 Sew the back to the front at the shoulders using the Bond Top 1/2″ seam allowance. 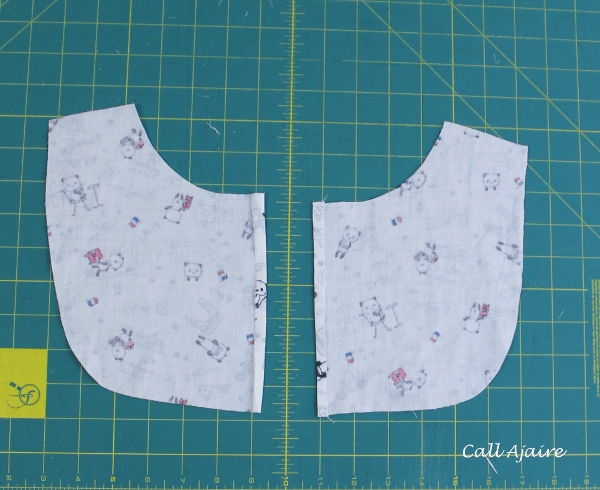 Sew the hood pieces together using the Johnny B Good 3/8″ seam allowance. Refer to the Johnny B Good instructions for more on sewing the hood/hood lining pieces. 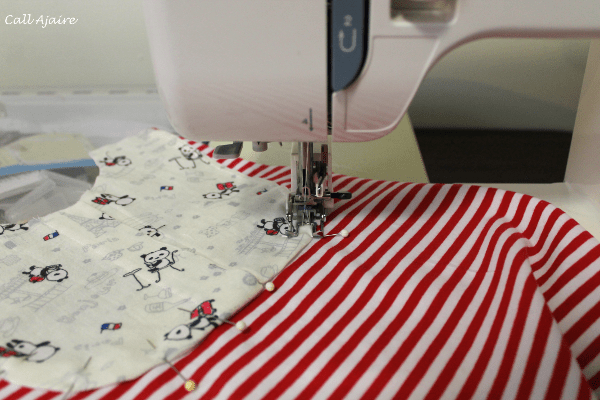 With right sides together, match the center back of the shirt and the center of the outer hood and pin all the way around to the front of the plackets on either side. 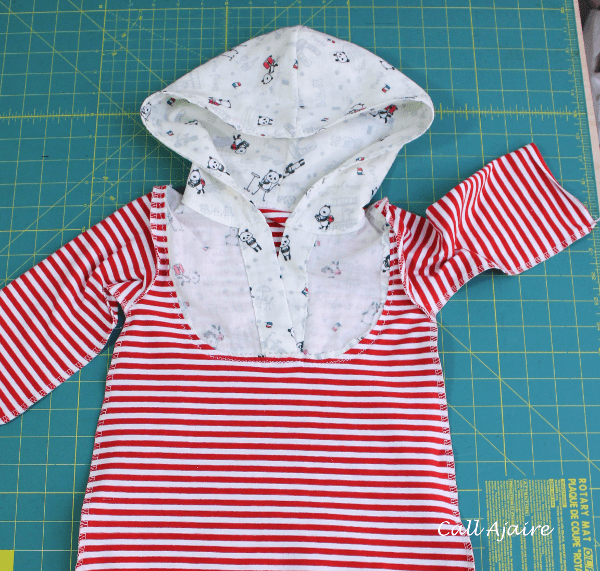 Sew the hood to the top using the Johnny B Good 3/8″ seam allowance. When we altered the neckline of the Bond Top to follow the Johnny B Good neckline, there was a small section of the Johnny B Good neckline that was chopped off in order to be sure the shoulders lined up properly. This is not an issue, but it may mean that the hood will extend out a bit further in this step than it needs to. 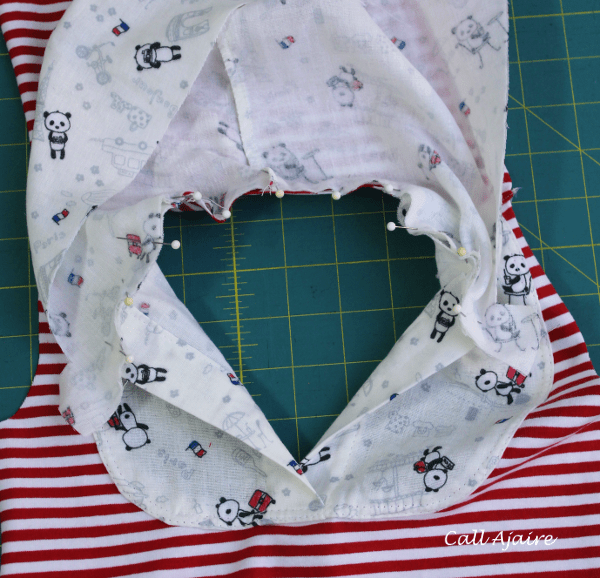 Before attaching the hood lining to the hood, chop off all but 3/8″ seam allowance at the placket edge. When sewn together and turned right side out the hood should should come out as an extension of the placket. Attach the lining to the hood. 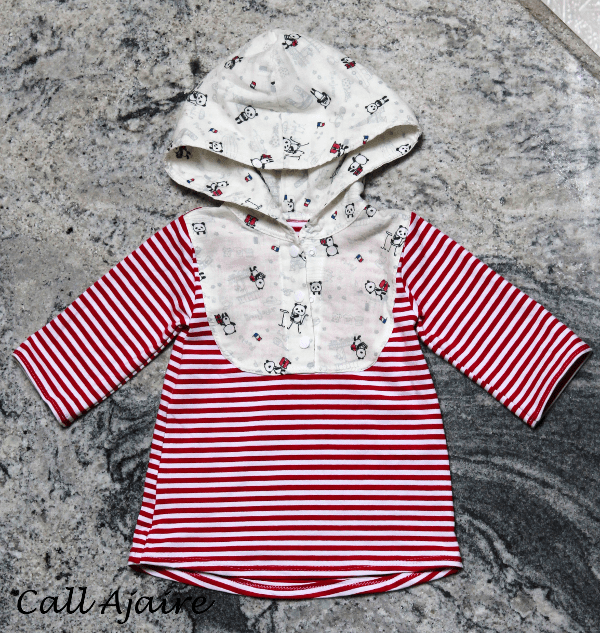 Refer to the Johnny B Good pattern instructions for more information about finishing the hood. 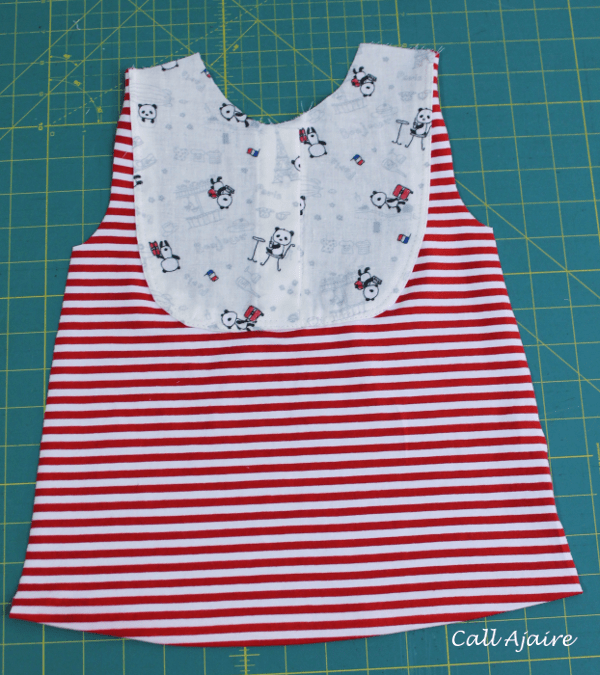 Finish the rest of the top using the Bond Top 1/2″ seam allowance and hem allowances. Refer to the Bond Top Pattern instructions for attaching the sleeves and sides of the top. And your Johnny Bond MashUp is complete! This month’s link up ended earlier that it was supposed to, so if you’d like to be featured please either send me an email with your link or add it to the Monthly MashUp Flickr group. I’d love to see and feature your Johnny Bonds! 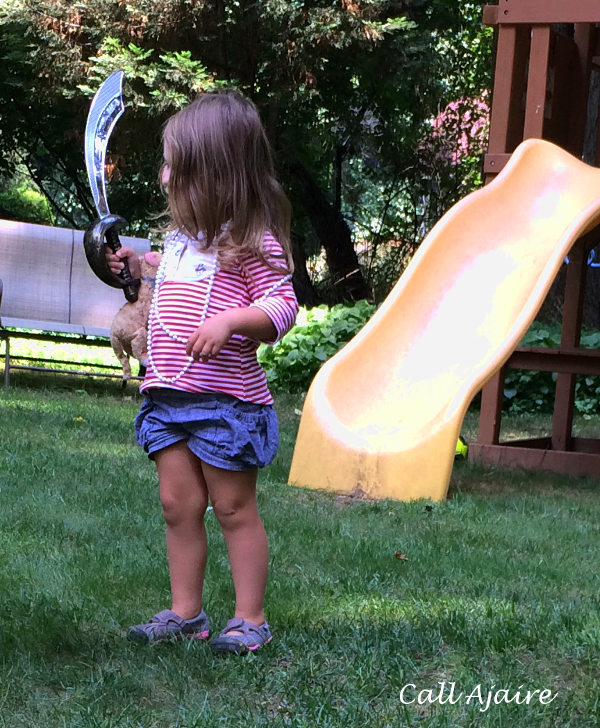 Apparently, Bean’s makes a great pirate top in a pinch! Cute Cute. I love this mashup.